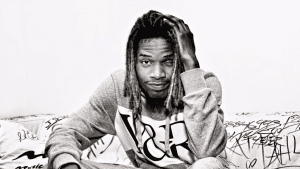 Rapper Fetty Wap will be performing at Stegeman Coliseum at the University of Georgia April 26 as part of University Union’s spring concert series. Here are a few things to know about his performance. 2. Availability Tickets will go on sale for non-students April 11 at 10 a.m. As of 10:17 a.m. Wednesday, floor tickets were sold out. Only upper-level tickets will be available. 3. Contributing Performances The opening act will be announced closer to the event date. 4. Transferring Tickets No changes or exchanges will be allowed, according the the Union twitter account. 5. Records His song ‘Trap Queen’ peaked at No. 2 of the Billboard Hot 100 in May 2015.